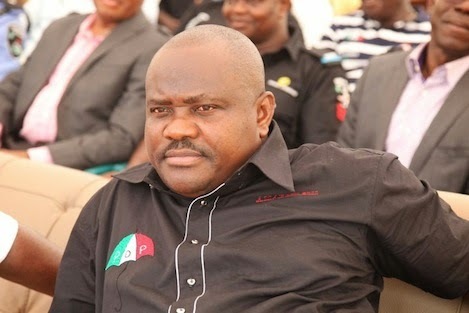 The People’s Democratic Party (PDP) in Rivers on Wednesday urged All Progressives Congress (APC) in the state to congratulate Chief Nyesom Wike, the governor-elect on his victory in the gubernatorial election. Emma Okah, the Chairman, PDP’s Publicity Committee stated this while briefing journalists in Port Harcourt. Okah condemned in totality the spurious allegations of rigging being peddled by the APC intended to smear PDP’s victory in the state. “We urge the losers to be courageous and honourable, and if truly they are democrats, to emulate our beloved President Goodluck Jonathan in showing the spirit of sportsmanship. Okah, who congratulated Rivers people on their support for PDP in the face of intimidation by the ruling party in the state, said the victory marked a new dawn in the state. He explained that PDP’s victory was a reward for hard work and resilience, adding that the party was a household name in the state. He congratulated the governor-elect and his deputy, saying that the victory was a “call duty” to repair and restore Rivers back to its lost glory. He further commended the Independent National Electoral Commission (INEC) for its impartiality in the conduct of the election, saying that it had laid foundation for future credible elections. He also observed that the security agencies performed their duty well by protecting and securing voters without much challenges. Okah also thanked the media, on behalf of the PDP, for its objectivity and neutrality in the coverage and reportage of the elections.